Education is one of the most important social and civil rights issues in the nation. Numerous reports of our failing schools, children lacking the fundamental skills to compete in an ever-changing global society and the lack of financial and administrative support are central issues that impede our children’s success. Ensuring high quality education and providing effective support programs in under-resourced communities will lead to better career options and a higher quality of life for all. Our education platform will fill these gaps and give our youth a fighting chance. Our administration will support a fully elected school board, ensuring that it is representative, responsive, and responsible to every Chicago community. Residents are looking for accountability and high quality neighborhood schools. An elected school board will empower residents to have real input in the education of their children. Our administration will increase the Office of Equity’s authority to ensure that capital expenditures (i.e. new buildings and annexes, equipment, facilities) and programs (i.e. IB programs) are equitably spread throughout the district. It would also analyze any potentially harmful unintended consequences of budget decisions. Chicago Public School’s current student based budgeting formula does not take into account the needs of its students. Our administration will use an equity-based funding model (equity weighted student based budgeting) which ensures that no matter what school a student attends, they will have the resources to meet their needs. The current way boundaries are drawn pit communities against one another. It reinforces segregation with a negative impact on low income students of color. Our administration will use a collaborative approach with community residents that integrates the Chicago public school system. This system was originally put in place to keep middle class families in Chicago. But now, commitment to this system drives families out of the city because they don’t want to struggle to get their kids into one of the few “selective enrollment” schools. Our administration will expand the number of high quality education options for all families. Our administration will expand restorative justice practices in schools, committing to a push for more licensed social workers and behavioral health professionals with the support to manage caseloads. Housing is the anchor of a stable social and economic quality of life. Housing should be accessible, safe, affordable and of high quality regardless of income. Where we live should not put us at a disadvantage in our access to quality schools and economic opportunity. The shortage of affordable housing is due to government’s lack of will to expand supply and accessibility. The organizations and individuals who have fought to have a place that we deserve in this city, deserve housing options that ensure that we can actually live in Chicago, not just today, but into the future. Our administration will work to lift the rent control ban in Chicago. Lifting the ban will prevent landlords from raising the rent in certain units, and limit how much a landlord can raise the rent at the end of a lease term. We must hold our governor accountable for following through on the promise that was made to lift the ban on rent control. This is critical to preserving the character of communities. Our administration will support eliminating aldermanic prerogative, which gives alderman virtually unchecked control over their wards, allowing housing and community development decision-making to be hindered by political influence. Community decisions should be made using a “people first”, “bottoms up” approach of civic engagement where the people determine neighborhood outcomes rather than an alderman making the decision alone. Our administration will support increasing the percentage of affordable housing units required in residential construction. Residential housing developers should have a vested interest in stemming the tide of gentrification and displacement. While there is a shortage of affordable housing in general, there is a developer preference to focus on affordable housing that doesn’t accommodate large families. The requirement for affordable family size units must be instituted. Currently developers can pay into a fund that would relieve them of the requirement to build affordable housing units. This option must be eliminated. Our administration will support increasing and expanding the real estate transfer tax for affordable housing. Our campaign is fully committed to environmental justice through combatting climate change. We recognize that many current and past environmental justice initiatives are disproportionately geared towards downtown. Our administration will support lower-income neighborhoods through green job creation and infrastructure investment in neglected parts of the city. Chicago must move to the forefront of a green economy which will create good paying jobs and protect our communities. Our administration will support energy efficient residential and industrial development, while ensuring training and transitional assistance for all workers, low-income communities, communities of color most affected by climate change and historical environmental injustice. Water is Chicago’s most precious resource and is critical to the regional and global economy. The issue of lead and contaminants in Chicago’s water is an infrastructure issue that has not been addressed because of the expensive costs of upgrading service lines. Our administration will target resources to those areas of the city where lead levels are highest. Our administration will create a tax rebate/incentive program for homeowners/landlords who decide to take on the costs associated with upgrading lines. We will also create a fund utilizing federal and state resources to support homeowners opting to take on costs associated with upgrading lines but are unable to pay the entire cost upfront. Resources must be steered toward communities that have been directly affected by corporate environmental pollution. Our administration will hold firms accountable that skirt environment regulations put in place to protect area residents from hazardous contaminants. It is the responsibility of law enforcement to provide for the safety and protection of all residents from criminal and unsafe activity. However, the Chicago Police Department has failed in communities of color. Following the unjustified murders of unarmed, young Black men, distrust of police has set in. Community resentment has been reinforced by the “code of silence” that exists within the Chicago police department. Our institutions must operate with the highest levels of integrity and fairness, and the reports issued by the Department of Justice and the Police Accountability Taskforce expose what many communities have already known: a toxic culture of abuse, corruption, and racism that has persisted for too long in the City of Chicago. Our administration will work with community activists, civil rights attorneys, and Chicago Police Department leadership to implement a radically different code of conduct for the CPD. Violence reduction demands that we enforce stricter requirements for gun ownership, including but not limited to: license registration, training, and record of purchase; mandatory background checks for private sales; restriction of multiple purchases; banning military rifle purchases; eliminating “conceal and carry”; barring at-risk citizens from buying firearms; adopting technological protocols to minimize violence; and eliminating legal immunity for gun manufacturers. Restorative justice will play a vital role in our administration. When we look at issues negatively impacting our most vulnerable communities, they are oftentimes the result of neglect and a lack of investment on behalf of the city. We will be actively working to address the root causes of crime, and providing opportunities for residents to participate in society and our economy. Our administration will be using civilian oversight to ensure transparency and accountability for police practices. Participation, the primary driver of good governance, requires that all groups, with particular attention to the most marginalized, have direct and representative access to the systems of government. Citizens are competent in knowing what they need for a respectable quality of life. Civilian participation in public safety oversight manifests itself in the various forms, including but not limited to: funding and expanding community block clubs and providing more infrastructure for the Chicago Alternative Policing Strategy (CAPS). We need to think more broadly about what “sanctuary” means, as the city has done a poor job at insuring “sanctuary” for anyone at this point. The city is not a sanctuary if we can’t be safe in our neighborhoods, access the type of healthcare necessary, or get a quality education (because the school system is cutting services). The city is not a sanctuary if policing morphs into a form of draconian xenophobic abuse in communities of color. So making this city a sanctuary for everyone requires new ideas that actually move us forward. The Chicago Welcoming City Ordinance includes four exceptions to the general rule to not arrest or hold anyone based solely on an ICE warrant or hold request. These exceptions involve individuals with prior felony convictions, pending felony charges, open warrants, or listing in the city’s gang database. Our administration will support removing the exceptions. Immigration Customs Enforcement policy related to arrest and detainment is rooted in xenophobia and has an adverse and draconian impact on people of color. It’s institutional bigotry disguised as a race-neutral matter of national security, of which our campaign vehemently condemns. The Chicago gang database has 195,000 Chicagoans who have been “tagged” as gang members. Individuals tagged in the database often suffer harsh consequences, including loss of job opportunities, harsher sentencing, and, for immigrants, detention and deportation. Almost 100% of individuals listed in Chicago’s gang database are Black and Latinx. The Office of Inspector General’s independent investigation into the database confirmed advocate concerns about it being used as a tool to criminalize communities of color, with zero accountability, due process, or oversight. As such, our administration will support abolishing the database. Policies long on maligning people of color at a rate of 100%, and short on accountability, due process, and oversight add insult to the injury past administrations have incurred on Chicago’s households and communities of color. The current Chicago Language Access Ordinance does not cover emergency services or public schools and includes no provision for funding implementation. 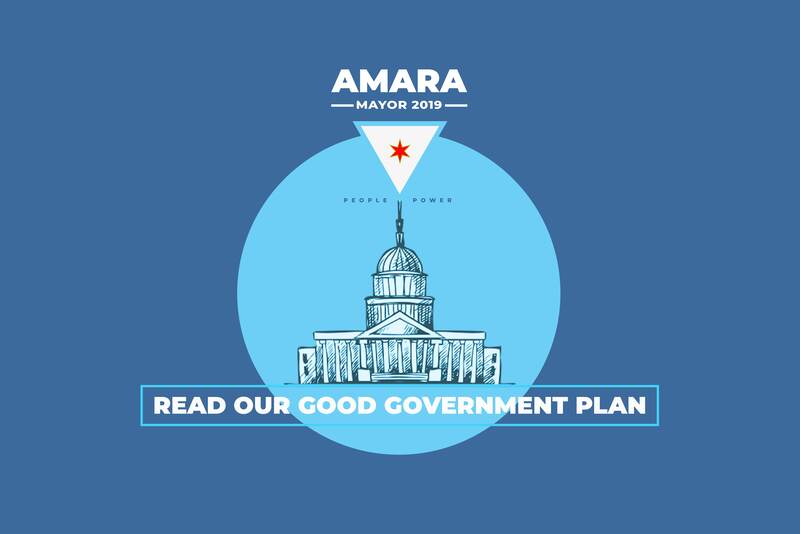 Our administration will strongly support amending the Chicago Language Access Ordinance to include emergency services, public schools, and all other government agencies. Education, safety and emergency protocols that exclude individuals based on language spoken goes against the grain of inclusion, opportunity, and our government’s moral obligation to be a sanctuary city for all Chicagoans. I support the level of funding commensurate to ensuring every resident has access to an optimal level of safety, support and quality of life regardless of language spoken. Imagine a city committed to all people being able to participate and thrive. Our approach goes far beyond just calling for more jobs. It will train residents with the skills that enable them to compete in the 21st-century economy. Our administration’s “Bold Vision for a Growth Economy” creates community wealth so that residents are able to stay in their homes and communities. Local entrepreneurs must be able to open up businesses with accessible resources without having to deal with redlining from traditional banks. There must be a financial institution in place with the sole responsibility of making sure the city’s economy is strong. Our administration will launch a public bank. A public bank is government-owned. Instead of depositing city revenue in other banks, we will put them in our own. With a traditional bank, shareholder profits are the first priority. With a public bank, all financial decisions reflect the needs of the community. It finances public goods. It only makes loans that benefit the community. Earnings are passed back to the people in the form of low interest rates on loans and government dividends. It will save Chicago potentially billions of dollars. No more borrowing from Wall Street institutions at excessive interest rates. No more inflated fees to bond holders so we can keep money in their banks. We will spend public dollars to create the communities we want. It will create a new source of city income. All profits will drive neighborhood reinvestment. Our public bank will create new jobs and support local businesses. Our administration will support resident and worker-owned cooperatives. Resident-owned cooperatives are owned by a group of homeowners which own the land and manage the property. Members own their individual homes and a percentage of the land underneath. Everyone has a say and decisions are made democratically. This will protect residents against rising housing costs that cause displacement. WOCs are owned by the employees. They invest in the business together. They create quality employment for members of the community. They engage in practices that protect the environment. Profits are more like to circulate and remain in the community. Our administration will facilitate the expansion community land trusts. CLTs are organizations focused on providing community benefit as well as land and housing affordability. They are locally controlled and democratically managed. Each owner gains an equity share and stake in the greater neighborhood. Our administration will expand the Blue 1647 model of workforce training for the jobs of the 21st-century and high value add sectors of the economy. This model trains residents from childhood to adulthood in key skill areas that are necessary for the economy of the future. It will equip citizens with the skills to compete in the 21st-century economy, in industries including but not limited to: information technology, manufacturing, coding, and transportation and logistics. The purpose of a community benefits agreement (CBA) is to protect residents from potential gentrification and displacement. Our administration will support a community benefits agreement “trigger” ordinance for development projects according to cost, size, public dollars used, and area-resident collaborations, with penalties for non-compliance. 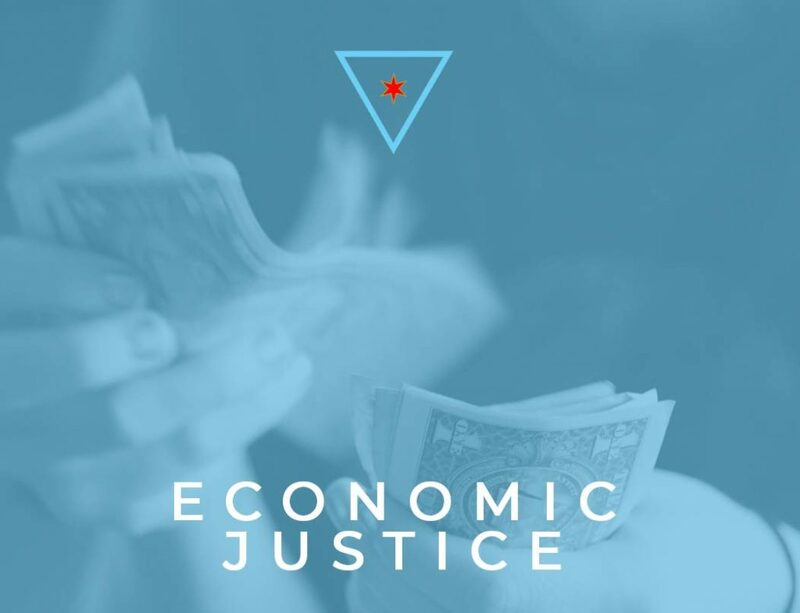 Chicago has a history of punitive policies that increase the everyday economic stressors of Chicago’s most vulnerable. It only benefits the privileged and those with access to power. The answer to economic injustice is not just a change in leadership, but a reimagining of the system’s design. Our campaign strongly rejects the idea that citizens should be punished for being poor. Our administration will build an equity-forward city that protects its people and provides a workforce that allows us all to thrive. Chicagoans deserve an inclusive workforce that will provide equal and sustainable job opportunities, livable wages and paid family leave. No citizen should be forced to choose between their families or their jobs. None of us should go homeless because of an illness. Our administration will fight for paid family leave for all of Chicago. We will improve Chicago’s transit system and infrastructure to eliminate transit deserts, ensuring that all Chicagoans face the lowest barriers in getting to and from work every day. Chicago’s legacy of draconian policing in black and brown neighborhoods takes a toll on our communities when its practices exploit public safety systems. Our administration will ban the boot and replace this vehicle immobilization system with debt forgiveness programs. Residents will have the option of repaying their debt in cash or through public service. We will fight for progressive fee structures that decrease the amount of city debt owed for lower-income constituents. Chicagoans deserve leadership that understands and respects the value of neighborhood input at the tables of power. Without an insistence on full participation and transparency we only perpetuate the harmful practices that have led to generations of distrust and a loss of faith in our government institutions. 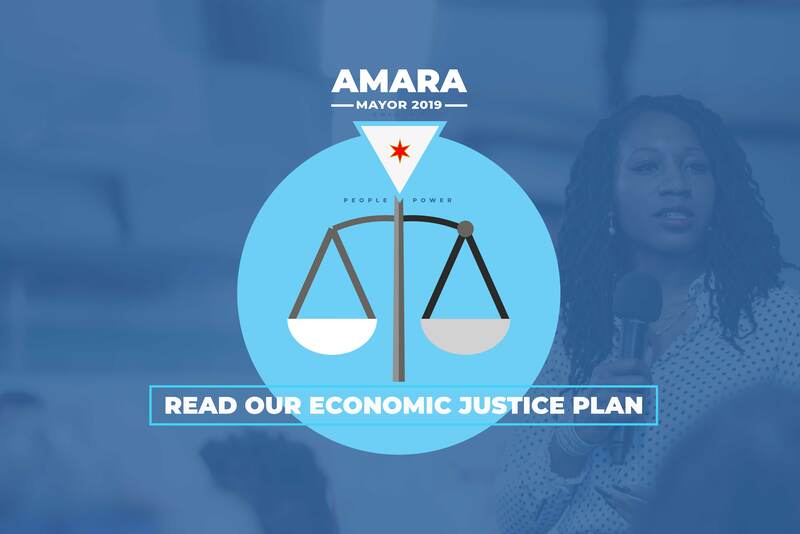 Our administration will keep residents informed about how inequity impacts the lived experiences of every day Chicagoans, and our strategy to address it. We will create public-facing performance benchmarks to ensure accountability. We will also host community town-halls meetings, forums and discussions to convey new initiatives and apply resident feedback to our initiatives. The small business community is the key to our city’s economic future. Expanding local entrepreneurship is critical to building community wealth. This requires better coordination between local communities and the legislative branch. We will create a Mayor’s Office of Economic Innovation to initiate and cultivate economic development tools suited to meet the needs of small business owners. Removing bureaucratic “red tape” and obstacles to capital is critical. We must eliminate incentives large corporations receive at the expense of a vibrant small business sector. People-led innovation will lead to entrepreneurial and workforce prosperity. I drafted, lobbied, and passed legislation including a bill that reduced LLC filing fees from $500 to $150 (passed in 2017). This removes a significant barrier to business ownership, especially for under-served populations. I drafted and passed Intrastate Equity Crowdfunding legislation, which allows multiple investors to pool capital for startup businesses. It helps avoid potential redlining and discrimination obstacles in acquiring access to capital. I also initiated and passed Illinois Senate Bill 2436, a 2018 bi-partisan measure, which removed a barrier that inhibited economic investment in commercial corridors. We will scale up the SimpleGrowth Access to Capital Lending Program as an online compliment to neighborhood development centers that serve as hubs to help business owners identify various potential sources of capital. Our campaign supports administrative hearing and comprehensive sign code reform. We fully support the “pre-pay” option for fines to eliminate the need for business owners to hire an attorney and attend administrative hearings when issued a citation for certain ordinance violations. We must simplify the process for obtaining public way use permits. We are in favor of comprehensive sign code reform that clarifies the rules and simplifies the process related to signage approval. Business incubators provide “hands on” training and counsel related to entrepreneurial processes. 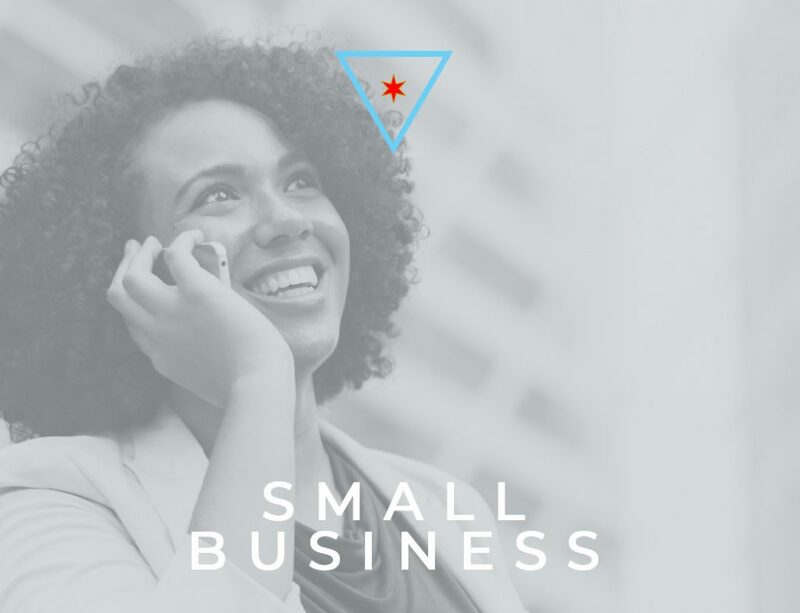 We must provide support in the form of a “SMART” team — an attorney, an accountant, and marketing professionals for small business owners that require day to day operations expertise. Incubators develop customized programs to assist local small businesses in navigating the process of licensing, ordinances, access to capital, contract procurement, and MBE/WBE processes. They also cultivate relationships with major corporations, social impact and angel investors. I founded the Institute for Cooperative Economics and Economic Innovation, a social lab whose primary purpose is to provide tech support, legislation, and policy infrastructure for the expansion of worker- owned cooperatives and community land trusts. We will establish a $5M Economic Innovation Fund to provide seed capital to launch cooperative enterprises. We must eliminate aldermanic prerogative as an obstacle to business development. Local entrepreneurs must no longer be “shaken down” for campaign donations in order to receive approvals related but not limited to: signage, sidewalk cafés, and business expansion. The approval process should be removed from the legislative branch and administered through City Hall departments. This has been a huge issue for small business owners and have caused many to leave the city. The way property taxes are collected is antiquated. As a result, we are not collecting what we should be in sales tax revenue as brick and mortar stores are competing with online retailers. Passage of the Marketplace Fairness Act compels online and catalog retailers to collect sales tax at the time of a transaction – exactly like local retailers are already required to do. It allows the city to recoup revenues that would prevent “brick and mortar” businesses from being burdened with increasingly high property taxes. revamping the Community Catalyst Fund (CCF) to create a comprehensive incentive package for small businesses located in challenged commercial corridors. The CCF incentive package will include a tax and fee waiver for the first two years and concierge service for business development needs. Businesses will have the option for a 5-year extension contingent on meeting local resident hiring goals. Our campaign supports the Student Loan Repayment Benefit to empower small businesses to compete for top talent and address the student debt crisis. A majority of small businesses don’t have the capacity to provide employee loan debt assistance. This makes it more difficult for smaller businesses to compete for talented professionals. The Employer Participation in the Student Loan Assistance Act allows employers to contribute up to $5,250, non-taxed, to their employee’s student loan payments.